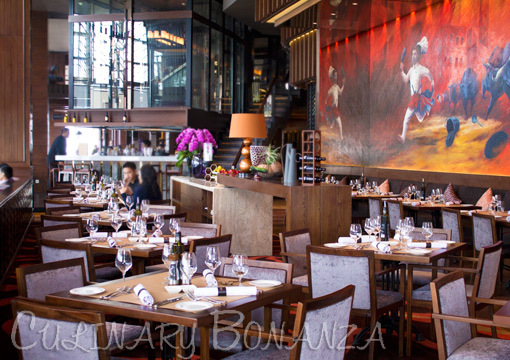 A new fine dining concept is grilling at the peak of The Plaza, a business and office building conjoined with Plaza Indonesia Shopping Complex. 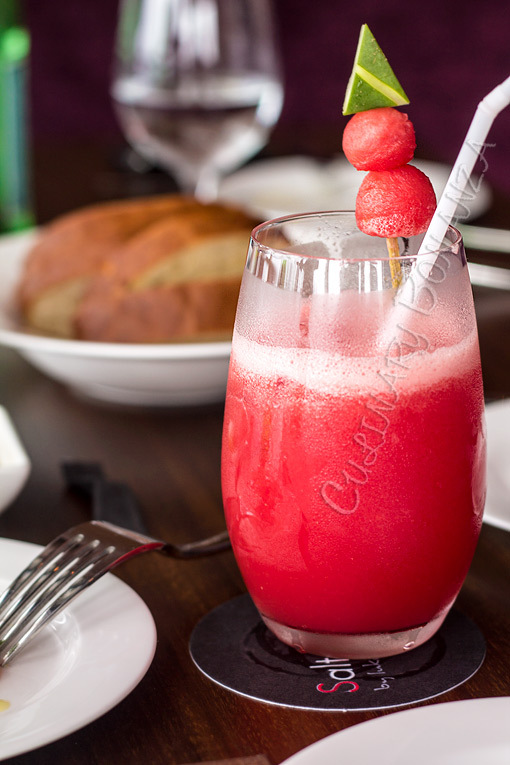 As of the time this post is written, Salt Grill has only been running for a few weeks and it will launch its Grand Opening on 27th April 2013. 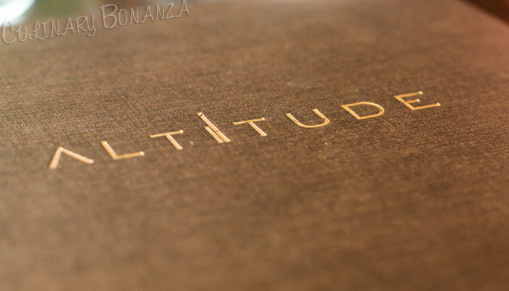 Altitude is a complex containing 3 restaurants, namely: Salt Grill by Luke Mangan (western & grills), Gaia (Italian) and En Maru (Japanese), with the latter two restaurants launching soon. This ambitious and massive restaurant project is helmed by the same man behind the successful Gading Food (do Fish & Co., Marutama Ramen, and Sticky, ring any bell to you?). Don't be fooled by his genteel manner and youthful complexion, this man really knows and is in charge of what he's doing. 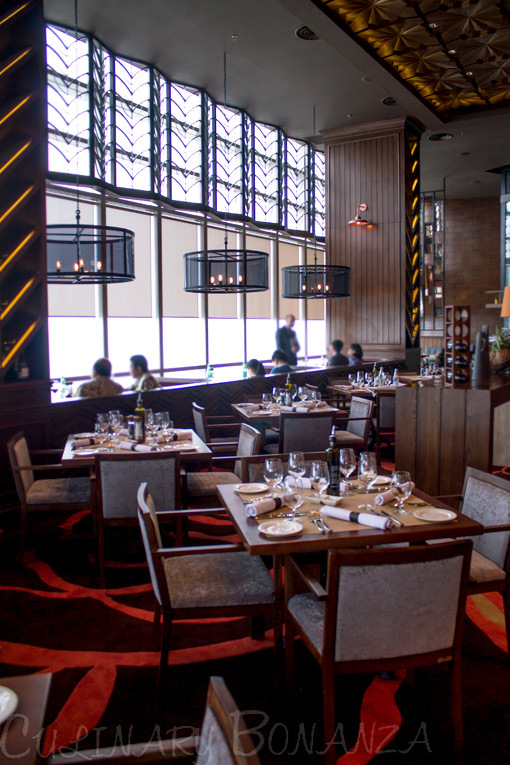 Salt Grill itself is the name of the restaurant by Chef Restaurateur Luke Mangan, who has opened his restaurants in Australia and Singapore, and even on a luxury cruise ship! The kitchen of the Jakarta chapter is headed by Executive Chef MJ Olguera who has been working wit Luke Mangan for more than a decade. There's no doubt about MJ's experience, who will make sure that all the food turns out just as Luke Mangan himself would expect them to be. Let's start off with the amuse bouche. As it is not on the menu, I'm wildly guessing here. 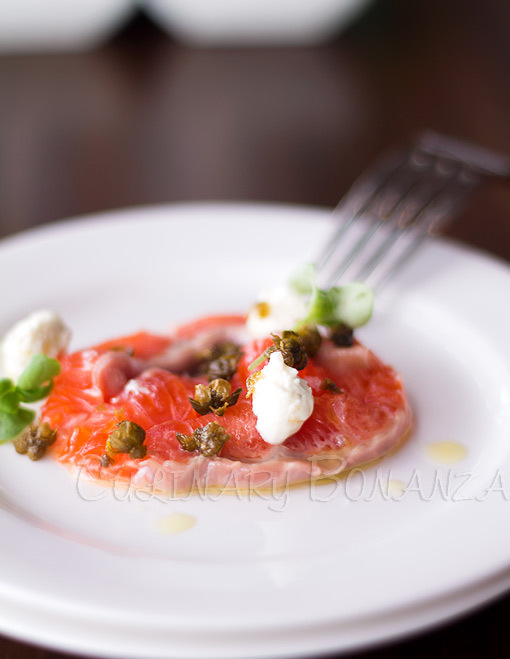 I reckon it was salmon sashimi, topped with feta cheese and pickled capers. The pickled capers and cheese added flavour to the fresh sashimi and their strong flavour actually helped to whet the appetite too. Such a pleasant start! - Sashimi of Kingfish, eschalot, ginger and goats feta. I personally like it, as it was fresh and well portioned. The eschalot (shallot) spread was not too overwhelming, but strong enough to keep one going until the plate is absolutely clean. 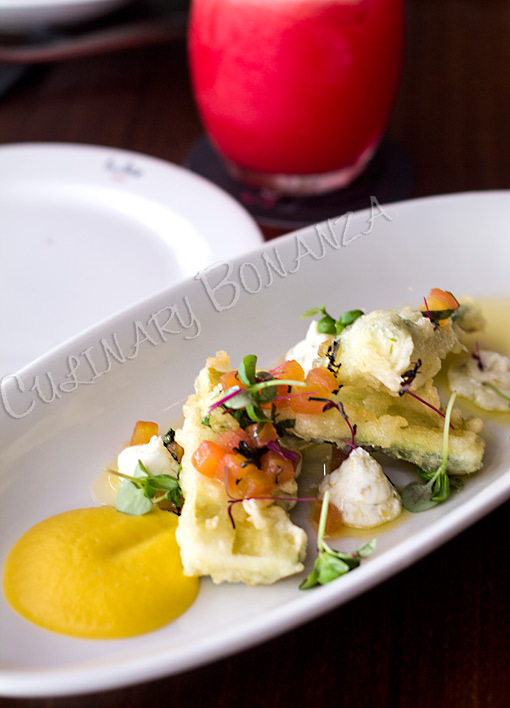 - Tempura Zucchini, goats feta, corn puree and sauce vierge. 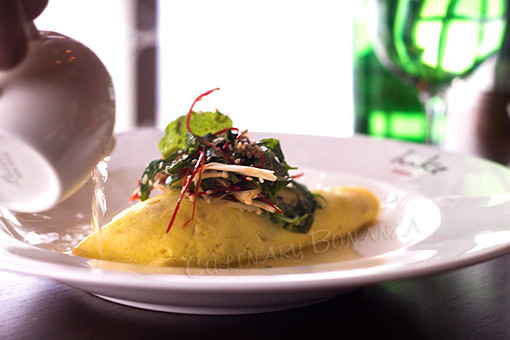 - 'glass' Sydney Crab Omelette, enoki mushroom and herb salad served with miso mustard broth. 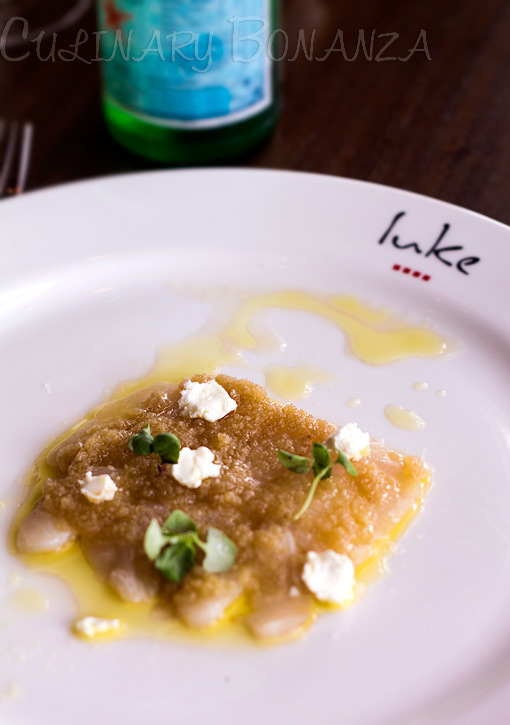 As one of the signature dishes of Luke Mangan, expect nothing less than delightful from this entrée. As I cut through the omelette, the generous crab filling fell into the miso broth and made it even more flavourful. My only complain is the portion might be too much for an entrée. 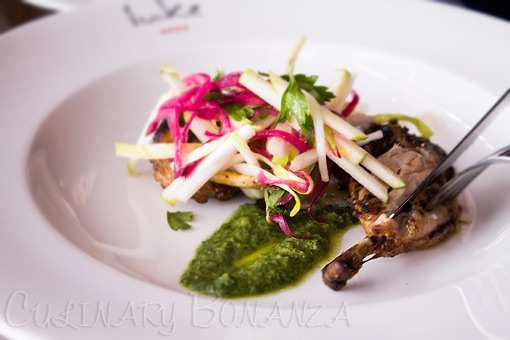 - Char Grilled Baby Chicken, endive (the name of an edible flower or vegetable) with pickled onion and apple salad, salsa verde. 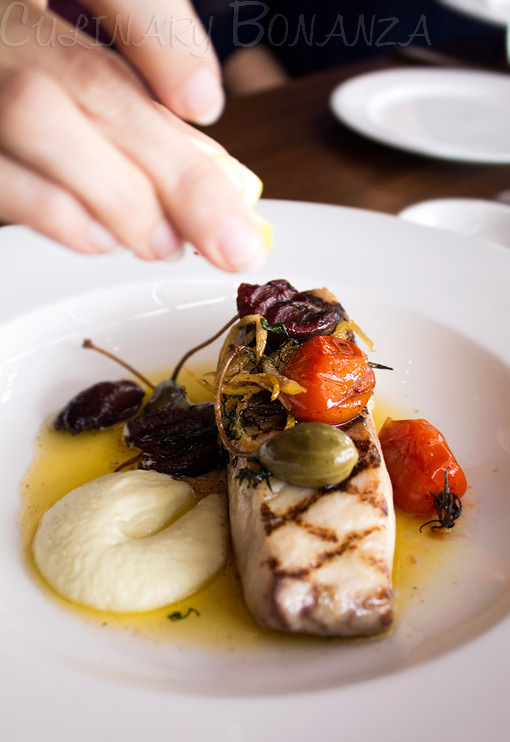 - Char Grilled Snapper, capers, tomatoes, olives, basil, preserved lemon with nut brown butter. 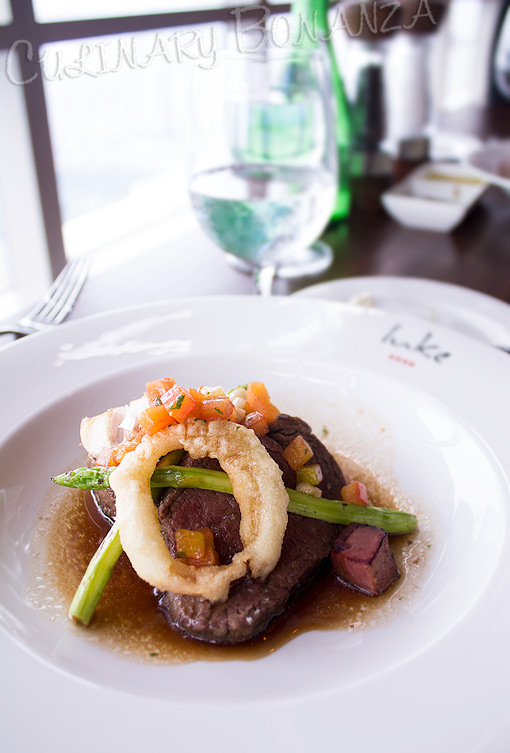 - Tenderloin, asparagus, pancetta cubes, roast garlic, onion rings, bone marrow served with red wine sauce. I chose medium well and the steak was cooked just as I like it. I'd recommend you to ask for the pomegranate mustard (there were wasabi mustard, and Dijon mustard as well). The strong sour and grainy mustard mixed very well with the steak. 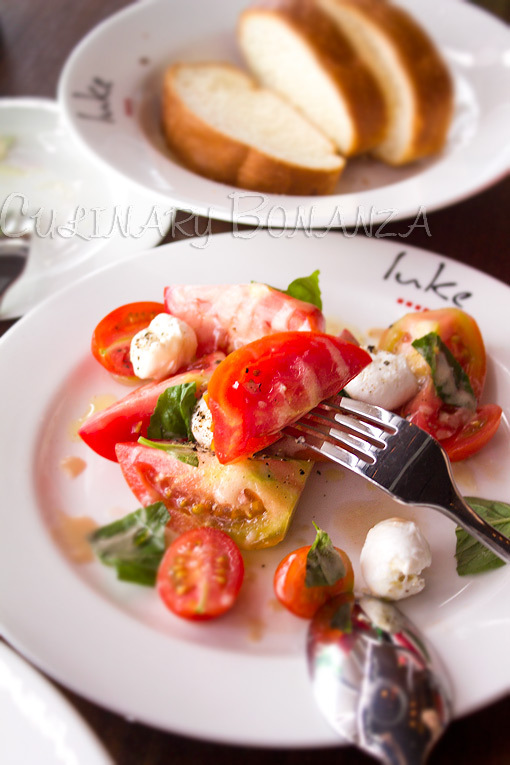 Heirloom Tomato Salad, burrata cheese, basil red wine dressing, which uses fresh Japanese tomatoes and served with chewy and subtle-tasting burrata cheese. 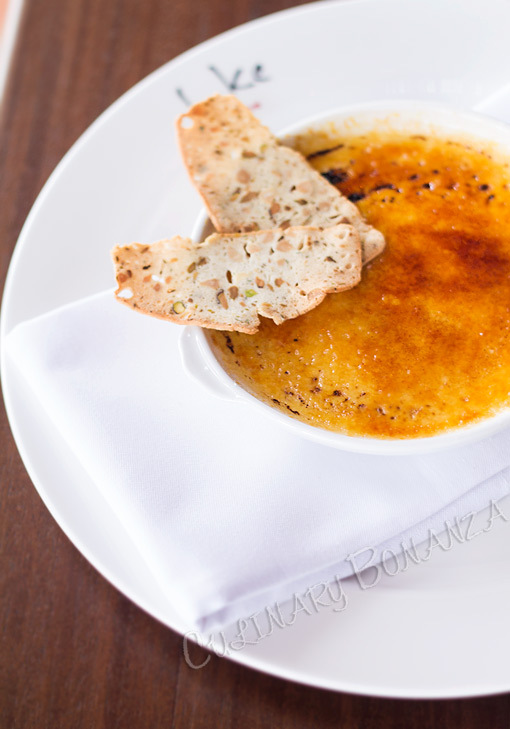 - Coconut Creme Brulee with Kaffir Lime Biscotti. 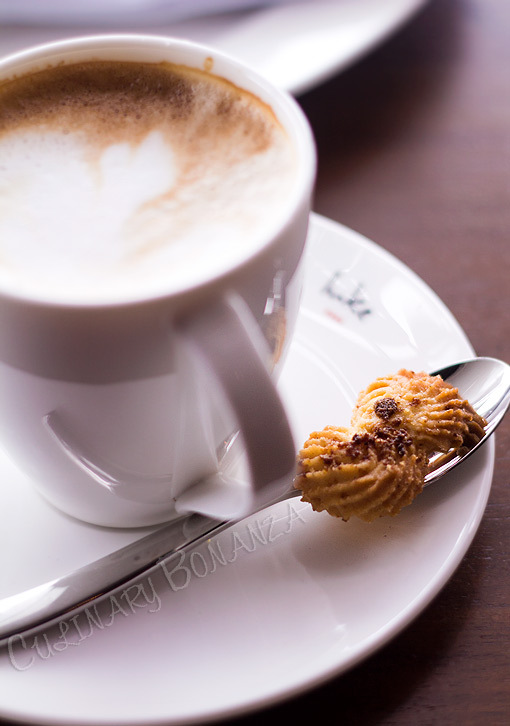 The Creme Brulle was sealed by a perfect layer of caramel glass, which cracked at the pressure of the fork. The creme itself was not too sweet so the taste was balanced. 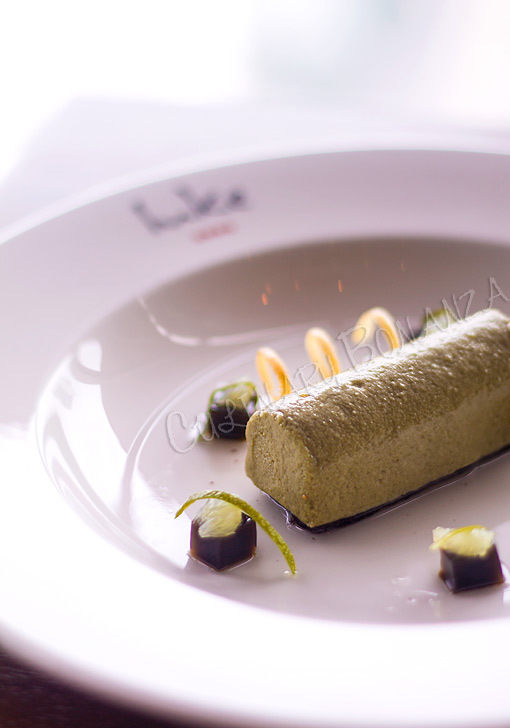 - Liquorice Parfait with Lime syrup - Luke Mangan's signature dessert. If you must order only one dessert, you should definitely have this one. 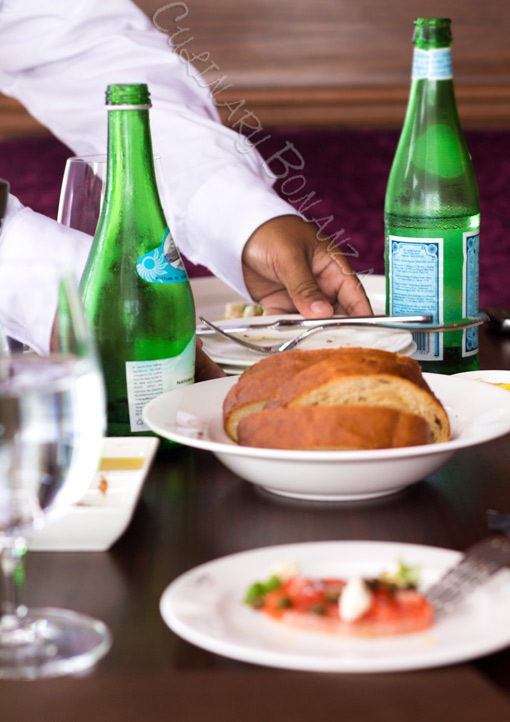 All in all, it was a sumptuous and generous lunch. Because there were 4 of us, we had a pretty good variety of the items off the Executive Lunch Set menu. I strongly recommend you to make a visit soon, especially since this is still the soft-opening period, during which, there's has a good deal going on. The Executive Lunch Set Menu at Salt Grill is available from 11am - 2.30pm everyday and priced at IDR 150,000 for 2 course meal or IDR 190,000 for 3 course meal. Sounds absolutely reasonable, considering this is fine-dining. After the Grand Opening, this promotion will be over - as the PR Manager told me. Iguess they did repeat the same ingredient to any dish..
First Aid to Sensitive Teeth!